Faith In Our Community (FIC) was set up in 2006 in North East England by a small group who were very concerned about people living in our most deprived communities, who had poor physical and mental health, low skills and qualifications, frequently out of work or insecure or very badly paid jobs. As a result, they were struggling with poverty and debt. We believed that churches could work with local people to transform these communities and we set up eleven local projects in ex-coalfield towns and villages, edge of city centres and deprived urban estates. Eleven local people were employed and trained as community development workers and they support the churches and have become community leaders. We give advice and practical help and run a learning and training programme of workshops, visits and events. We also organise the Network, so the workers can meet regularly and learn from one another. Billingham United Reformed Church is a new project, already working with local children, young people and families. They have just appointed a community development minister. Hetton le Hole, New Dawn runs a community lunch for isolated elderly people; Welcome Cafes where people can use the computers and get help with benefit applications; food bank with a meal; a community allotment. Houghton, Space4 for 1:1 and groups where volunteers listen, offer personal support and signposting to specialist agencies, bereavement support, men’s shed, women’s group and food bags. 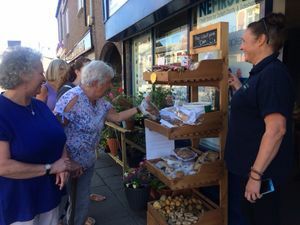 Shildon Alive gives benefits advice, food bags and advocacy; run two community gardens; a community fridge and shelves with free food; work with schools to involve pupils in community action, a junior credit union and dangers of loan sharks. Stockton, HOPE runs children’s activities/food in term time and holidays; food bag distribution and personal support; weekly friendship group for people with poor mental health. 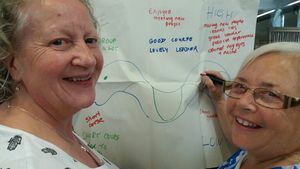 Stockton, People Linking At New Town (PLANT) organise Tuesday Tea Group, trips and Golden Zumba for older people; work with local children and families and local schools on gardening activities. Sunderland, Grindon Church Community Project has a steel band for people of all abilities; an IT room where local people can access computers; children’s activities; community garden recently won a Britain in Bloom prize. 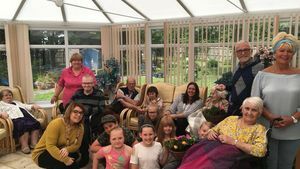 Sunderland, Roker Church Life run vintage tea parties and regular craft activities for older people; weekly creativity and dance sessions; food and activities in school holidays. Asylum seekers volunteer in the garden growing veg and fruit; computer support. Sunderland, St Luke’s Neighbourhood Trust serve lunches for lonely and elderly people; children’s after school and holiday activities; a friendship/ craft group; a venue for a range of community activities. Witton Gilbert, Breathing Space improve mental health for people with addictions, poor mental health, learning difficulties and children, with creativity/ relaxation / mindfulness sessions, environment activities and wellness walks. Altogether, around 3000 people benefit, and there are 200 volunteers. Some of the volunteers have become empowered and involved in making decisions about their community. 70 church members serve as charity trustees / directors. 200 people p.a. take part in our learning/training programmes, where they gain confidence, learn the skills needed to run their projects effectively and take on community leadership roles. In 2019, we will start developing 4 – 6 new projects and a new learning and training programme and we are very excited about this new development phase.